VOYAGER CLUB TIP- FAVOURITE ROOM…MENTA! With breathtaking views overlooking Amalfi, Monastero Santa Rosa used to be a 17th century monastery. Perhaps that’s why it has a very special feeling about it. 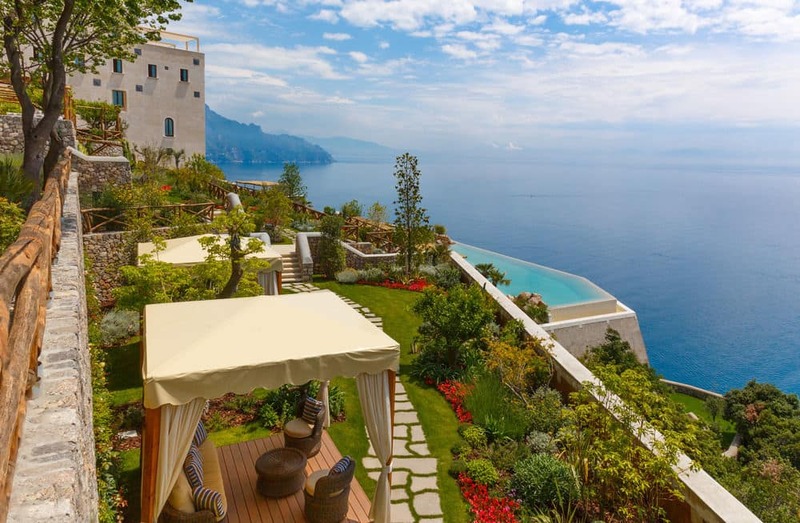 With just 20 rooms and suites, each named after a herb that nuns would have used in making medicines from the Monastero Santa Rosa garden, this luxury boutique hotel is one of Voyager Club’s favourite Hidden Gems. The stunning infinity pool, overlooking Amalfi Coast, is one of the idyllic places to sip fresh italian lemonade or a cocktail. Guests can enjoy the incredible spa with a full treatments and amenities from thermal baths to hydro pool, tepidarium and treatment garden. The culinary treats of Santa Rosa’s Michelin-Starred restaurant, Il Refetorio, is also as unique as the monastery itself. Ideally located between Positano and Amalfi, guests are able explore all Amalfi Coast...from dinner in Positano to Day trips to Capri! All concierge services can be arranged.